The NBA has returned from an amazing bunch of games last night to bring you only three games tomorrow. 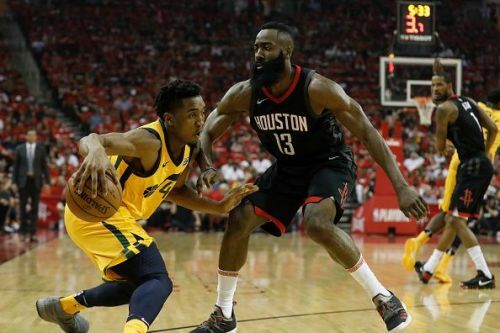 The Utah Jazz take on the Houston Rockets which is going to be the tastiest match to watch tomorrow. Both the teams are really underperforming and need to come back soon. The other 2 games are a little low key. The Boston Celtics will take on the New York Knicks, who suddenly seem to be playing with a spring in their step. The Portland Trail Blazers take on the Phoenix Suns in the other match, where the Blazers will be looking to break their losing streak and get back into the winning mentality and form that they had begun their season with. In yesterday's games, the standout game was the Toronto Raptors against the Philadelphia 76ers, which the Raptors won 113-102. The other outstanding game was Paul George and the Oklahoma City Thunder with an amazing comeback win over the Brooklyn Nets 114-112. Paul George had 47 points and the game-winning 3, while Westbrook notched yet another triple-double to move past Jason Kidd. The Milwaukee Bucks put away the Detroit Pistons with relative ease, 115-92 and the same way the New Orleans Pelicans beat the Dallas Mavericks to end their losing streak, 132-106. The Washington Wizards, without John Wall and Dwight Howard, overcame the Atlanta Hawks, 131-117. The Golden State Warriors beat the Cleveland Cavaliers, 129-105 and the Minnesota Timberwolves beat the Charlotte Hornets 121-104 as well. The Denver Nuggets overcame a tough Orlando Magic 124-118, in an overtime win. In the final 2 games, the Los Angeles Clippers finally lost to a spirited Memphis Grizzlies in a tight game, 96-86 and the Los Angeles Lakers beat the San Antonio Spurs 121-113 in an entertaining game. Let us now have a look at the potential best players for tomorrow that you can pick in your daily fantasy rosters.